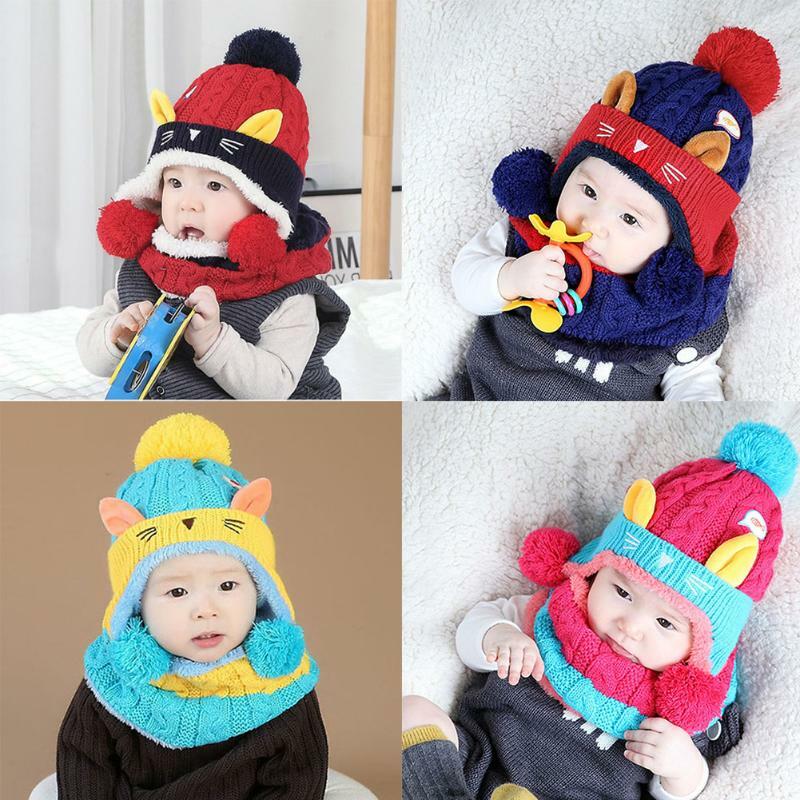 2pc Warm winter baby hats Knitted Earflap Hat and Scarf Set Casual Kids Warm Skullies Beanies Warm Caps baby hats for girls boy. 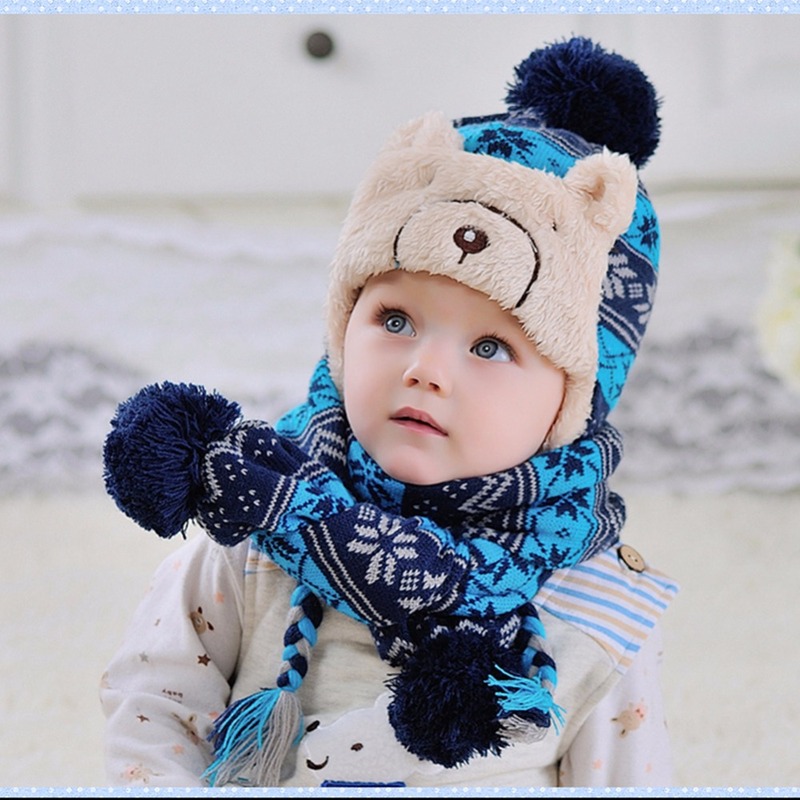 Scarf size: length 110cm/43.30in, width 5.90in. 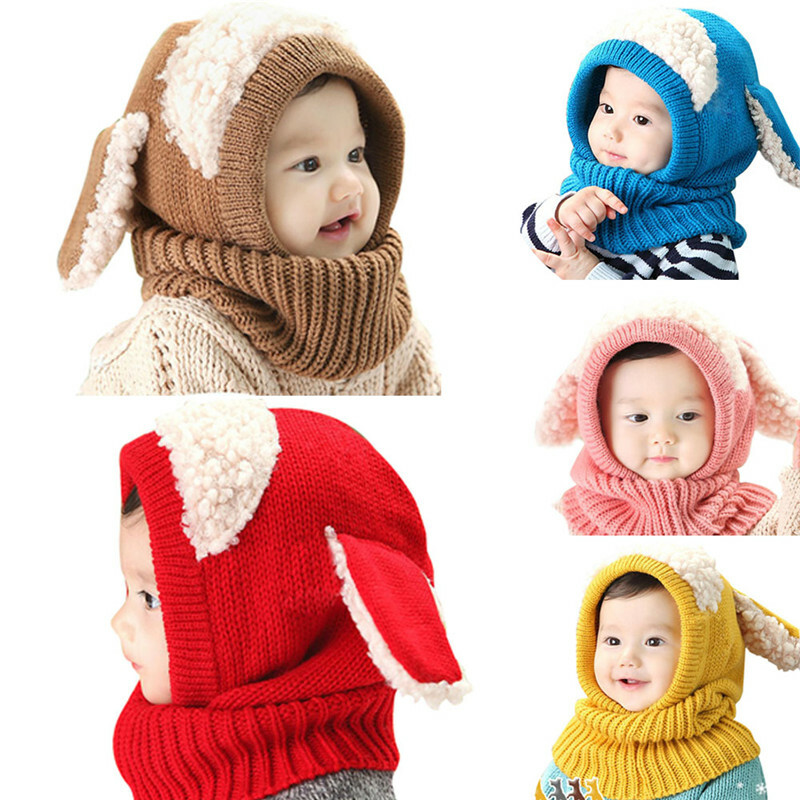 Available for both boys and girls.